The leadership of the National Conference on Tuesday, 15th April, 2014 announced the composition of 20 Standing Committees to facilitate the assignment of the Conference for the remaining period it would sit. The National Conference was inaugurated on March 17 by President Goodluck Ebele Jonathan and is expected to last till June, 2014. The list of the Standing Committees and their members was distributed to the delegates at the plenary session. However, the Conference did not name the leadership of the committees. A source told reporters that the leadership of the committees will be announced during Wednesday’s plenary session, which begins at 4 p.m. Many of the delegates did not get the list as the Chairman of the Conference, Idris Kutigi, announced with apologies that the machines printing the document broke down. He assured them that they would be given their copies on Wednesday. The Committees are Devolution of Powers; Political Restructuring and Forms of Government; National Security; Environment; Politics and Governance; Law, Judiciary; Human Rights and Legal Reform; Social Welfare; and Transportation. Others are Science, Technology and Development; Agriculture; Civil Society, Labour and Sports; Public Service; Electoral Matters; Foreign Policy and Diaspora Matters; Land Tenure Matters and National Boundary; Trade and Investment; Energy; Religion; Public Finance and Revenue Generation; and Immigration and Related Matters. All the committees except three have 24 members each. The Committees on Devolution of Powers and Political Restructuring, and Forms of Government have 28 members each while that on Religion has 18 members. 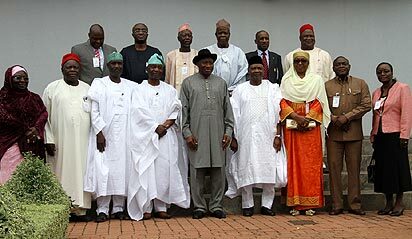 Prominent members of the committee on devolution are an elder statesman from the South West geo-political zone, Ayo Adebanjo; former National Chairman of the Peoples Democratic Party, PDP, Ahmadu Ali; former Petroleum Minister, Jubril Aminu; former National Chairman of the defunct National Advance Party, NAP, Tunji Braithwaite; former Deputy Senate President, Ibrahim Mantu; former Senate President, Ken Nnamani; former Health Minister, Alphonsus Nwosu; and a former Senator, Gbemisola Saraki. Some members of the Committee on Political Restructuring and Forms of Government are a clergyman Tunde Bakare; former Ebonyi State Governor, Sam Egwu; Tokunbo Awolowo-Dosunmu; former Secretary to the Government of the Federation, Olu Falae; President of Ohanaeze Ndigbo, Gary Igariwey; former Rivers State Governor, Peter Odili; former Niger State Governor, Abdulkadir Kure; ThisDay publisher, Nduka Obaigbena; and former governor of Akwa Ibom State, Ndongesit Nkanga; and former governor of Plateau State, Fidelis Tapgun. The leader of the Odua Peoples Congress, Gani Adams; former FCT Minister, Jerry Useni; former governor of the old Cross River State, Paul Omu; and Zamani Lekwot are some of the prominent members of the Committee of National Security. 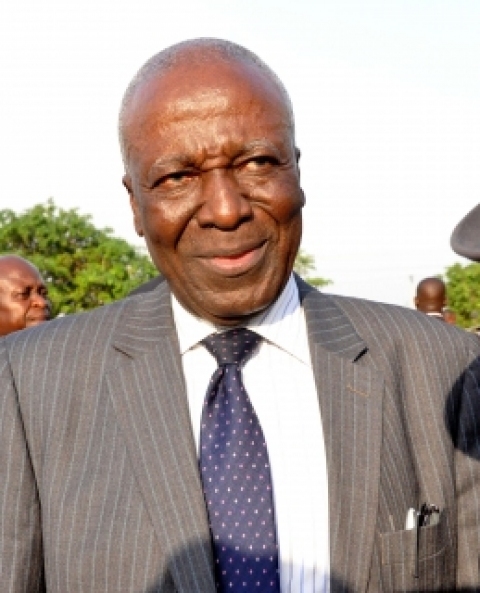 In the Committee on Politics and Governance are former Senate President, Adolphus Wabara; former senators, Femi Okurounmu’ and Florence Ita-Giwa; former Speaker of the House of Representatives, Ghali Umar Na’Abba; former Environment Minister, Hassan Adamu; former Information Minister, Jerry Gana; legal luminary, Mike Ahamba; Onyema Ugochukwu; and Ray Ekpu. Among the members of the Committee on Law, Judiciary, Human Rights and Legal Reforms are former NBA President, Olisa Agbakoba; former deputy governor of Lagos State, Kofoworola Akerele-Bucknor, Femi Falana; former Justice Minister, Bayo Ojo; former Legal Adviser to Sani Abacha, Auwalu Yadudu; and Mike Ozekhome. In the Committee on Political Parties and Electoral Matters are former Ogun State Governor, Olusegun Osoba; former Senate President, Iyorchia Ayu; former President of Ijaw National Congress, Kimse Okoko; former NUJ President, Sani Zoro; and former Imo State Governor, Achike Udenwa. 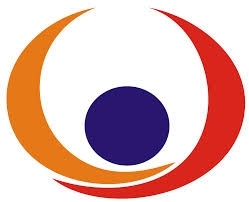 Some members of the Committee on Energy are former Justice Minister, Richard Akinjide; former Oyo State Governor, Rasheed Ladoja; former Minister of State for Petroleum, Edmund Daukoru; former senators, Yisa Braimoh, Femi Kila and John Brambaifa; and former governor of the old Anambra State, Jim Nwobodo. The former Governor of Bayelsa State, Diepreye Alamieyeseigha; former Kaduna State Governor, Tanko Ayuba; a former senator, Azu Agboti; and Sergeant Awuse are the prominent members of the Committee on Public Finance and Revenue. However, delegates could not comment on the list as a result of debate on the abduction of over 200 female students of Government Girls Secondary School, Chibok in Borno State on Monday night in by Boko Haram insurgents. The 50-member ad hoc committee, known as The Consensus Group, which was set up to resolve the impasse over whether the National Conference should adopt the three-quarters voting system or the two-third version, recommended 70 percent instead. The agreement, which is subject to ratification by the National Conference delegates at plenary, was regarded as a strategic move to produce a win-win situation in the voting pattern crisis that has pitted northern delegates against their southern counterparts. During the two-day debate on the voting pattern that produced a deadlock on Tuesday, the northern delegates had refused to give ground on their demand for the National Conference to adopt three-quarters of the votes for ratifying resolutions of the 492-member Conference. On their part, the southern delegates had insisted on the adoption of a two-thirds majority. The row over the voting format forced the Conference to adjourn sitting on Wednesday until Monday to enable the 50-member interim committee work out a consensus on the issue. However, despite the compromise reached on the voting format, President Goodluck Ebele Jonathan will still meet with some delegates between now and Sunday. Meanwhile, the House of Representatives has warned that the Conference may end up a wasted effort except the 1999 Constitution of the Federal Republic of Nigeria is amended to provide for the conduct of referendum in ratifying the report of the national discourse. Speaking on the voting pattern at the National Conference, a reliable source said: “We agree that there must be consensus on all issues to be discussed, but where it fails, then, the voting pattern must be 70 per cent of the 492 delegates. It was gathered that in the new spirit of the agreement, the southern delegates would no longer insist on the two-thirds majority vote and their northern counterparts would give ground from the 75 per cent to accept the recommended version. The resolution of the controversy over the voting format, it was learnt, has given the leadership the impetus to announce membership of the 22 committees of the Conference Monday. Also, by the approved rules of the Conference, the Secretariat will place delegates in the various committees, while the delegates will choose their leaders by themselves. Irrespective of the consensus reached by the National Conference interim committee to adopt the 70 per cent voting format, Jonathan will between today and Sunday meet with some delegates over the controversy on the issue. It was also gathered that the decision of the northern delegates to stick to the three-quarters majority vote was the outcome of a meeting Mr. President had with the Sultan of Sokoto, Sa’ad Abubakar III and some Muslim leaders to guarantee the participation of the north and Muslims in the Conference. It was gathered that during the meeting between Mr. President, the sultan and other Muslim clerics, it was agreed that the only way to ensure parity between northern and southern delegates on all issues was to ensure a level of inclusiveness of all delegates was reached, so that the outcome of the Conference would be acceptable to Nigerians. A source told reporters yesterday that “the three-quarters voting pattern was indeed a compromise made by Mr. President to ensure that everyone is carried along and to ensure that when the issue of a referendum is on the table, everyone will have a sense of belonging. “It is not about a winner taking it all as obtains in the two-thirds majority vote, which is 24 states. But in an inclusive consensus where the decision of three-quarters of the delegates, translating to 27 states, this means that only nine states would be in the minority. “This is why the matter of three-quarters is made much easier, in the event that the outcome of the Conference is subjected to a referendum”. 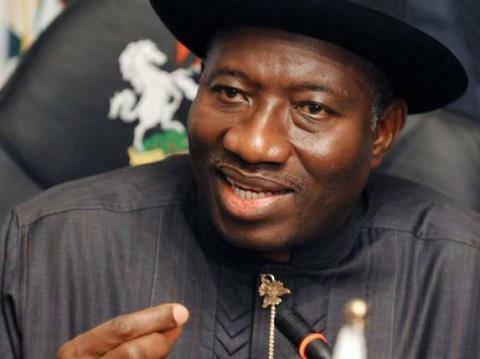 The source said it was for this reason that President Goodluck Ebele Jonathan had agreed to meet some delegates from the South to explain the circumstances that led to the suggestion of the three-quarters voting pattern. “It was an agreement reached and it is the reason why Mr. President will be meeting with them to explain issues and let the Conference go ahead as planned,” the source revealed. The source went further to disclose that the meeting between Mr. President and the Muslim delegation was meant to address the imbalance between Muslims and Christians in the composition of the delegates. “The main point is that the Christians and southerners are more in number and there is the fear that the Conference will alter many fundamental issues in the country. It is easier to reach a two-thirds consensus in favour of southerners and Christians than with the Muslims and northerners. “If the two-thirds voting pattern is to be accepted, then there should be a re-composition of the delegates to ensure a parity between the North and the South. That is the essence of the meeting between the President and the group led by the Sultan of Sokoto,” our source said. In a swift reaction, a representative of the Christian Association of Nigeria (CAN) to the National Conference, Mr. John Achimugu, dismissed allegations of lopsidedness in the composition of the delegates against Muslims. Speaking to reporters in Kaduna, Achimugu, described the allegations by the Jama’atu Nasril Islam (JNI) as unfounded and being peddled by those who do not mean well for the country. According to him, those behind the allegation are out to ensure that the National Conference does not hold so that the status quo could be maintained. “Anybody who saw the list of the Federal Government delegates which was published would know that Christians are represented by six delegates, Muslims are equally represented by six delegates. I do not see the lopsidedness in the six-six representation. “People came from various shades of life, representing various shades of interests, professional bodies, NGOs and the likes. There is no parameter set for the Conference that such people, in the process of their nomination to represent their group interests, must be nominated on the parameter of religion,” he queried. Achimugu who was also a delegate to the national discuss organized by the former President Obasanjo’s administration in 2005, faulted claims by the JNI that Muslims are in the majority in Nigeria, saying there has never been any census in Nigeria to determine the population of Muslims and Christians. Also speaking on the Conference, the Chairman, Transmission Company of Nigeria (TCN), Alhaji Ibrahim Waziri, who is also a delegate, has described the essence of achieving consensus at the National Conference as a way of “…achieving inclusiveness to the extent that all delegates must be seen to be carried along”. He urged his colleagues to let the interest of the unity of Nigeria guide their discussions at the Conference, calling on the delegates to ensure that the outcome of the Conference adds value to the welfare of Nigerians and promotes the oneness of the country. In his words, “National unity is upheld when a decision is reached and both the North and South are happy with such a decision. This is what I described as inclusiveness, let us come together and agree on the way forward and how we can create a new Nigeria of our dream. The controversy over the voting pattern is healthy because it will bring out the unity in us. Also human rights activist and lawyer, Mr. Femi Falana (SAN), said the delegates should be allowed to break into committees to familiarize themselves better with the tasks ahead before going into plenary sessions. “After meeting ourselves at the committee level, and coming out to the larger house (plenary), we are likely to have known ourselves better and be availed of superior reasons. “From the way we are handling it now, the fears of some people were borne out of a misconceived notion and that is why it is a bit problematic. From the report at my disposal, the consensus committee that is consulting with the Chairman is likely to have arrived at a decision that will be acceptable to all delegates,” he said. In the meantime, the House has warned that unless the 1999 Constitution of the Federal Republic of Nigeria is further amended to allow for a referendum to ratify the outcome of the ongoing National Conference, the delegates might end up wasting their time. Deputy Chairman, House Committee on Media and Publicity, Hon. Victor Ogene (APGA, Anambra), at a press briefing in Abuja, said no portion of the 1999 Constitution provides for a referendum. According to him, the only document that the legislators are duty bound to invoke and act upon is the 1999 Constitution. “For any section to be altered, you need two-thirds of both chambers of the National Assembly and two-thirds of the state assemblies,” he added. He explained that unless this was done, the issue of a referendum would not sail through, as there is “nothing on a referendum before the House”. On the delay in passing the 2014 budget, he blamed some ministers for contributing to the situation. Ogene maintained that often times, a minister defending his/her ministry’s budget estimates may write to seek for the re-scheduling of an appearance, thereby taking the committees back several days. Reacting to the opinion that the House Speaker, Hon. Aminu Tambuwal, also flies with chartered executive jets for his trips and should be probed just as the House has decided to investigate the Minster of Petroleum, Mrs Diezani Alison-Madueke, Ogene queried, “Is there any allegation that any money is missing in the coffers of the National Assembly? If not, there is no need to worry”, he defended. 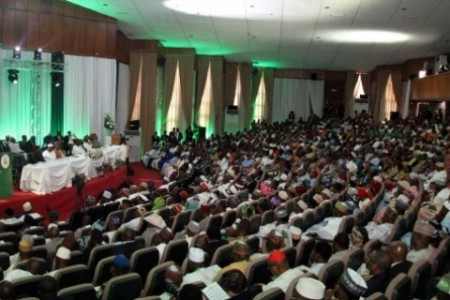 The Delegates at the ongoing National Conference in Abuja are said to be inclined to the removal of the Immunity Clause from the Constitution of the Federal Republic of Nigeria. Section 308 of the Nigerian Constitution prevents elected governors and politicians from being prosecuted or arrested even if they commit an offence while in office. The section of the Federal Constitution particularly refers to sitting President and Governors. It bars the judiciary and anti-corruption agencies from prosecuting and passing judgment against those whom it protects. However delegates are said to be working in tandem to ensure that the clause is struck out of the Constitution of the Federal Republic of Nigeria. A delegate representing the Civil Society Organizations, Auwal Rafsanjani has requested that the section be removes saying it was only in place to shield corrupt public officials. In his words: “It is so bad that the people who enjoy this immunity evade justice even after their tenure because of our weak and corrupt institutions’, he lamented. “You can get away with acts of corruption especially if you are a member of the ruling party. In other words, immunity has served as an incentive for those who want to loot. “The only reason some people are requesting that immunity be retained is to protect public office holders from being distracted. But anybody taking up public office must realize that if they do anything wrong, they must face the music”, he said. Conversely, Dr. Junaid Mohammed, delegate representing Kano State, said he would vote for the retention of the Immunity Clause for the President and his vice. Secretary General of the Middle Belt Forum, Mr. John Dara, said, “The President should still enjoy full immunity, while governors should be given partial immunity. “An American governor was caught saying on telephone that he would sell a vacant senatorial seat. He was indicted and impeached. Governors should be protected from civil litigations (and) not from criminal offences which include corruption offences”, he opined. The spokesman of Afenifere, a pan-Yoruba organization, Yinka Odumakin said, “I back the removal of Immunity Clause because when you have a presidential system of government and you have Immunity Clause, you are building a monarchy. “To that extent, immunity mandates corruption. For civil offences, immunity can stay; but for criminal offences, immunity must go. “To tackle corruption in this country, you have to change the Constitution. When you concentrate power in the centre, it brings two things–corruption and inefficiency. The structure we run presently encourages and mandates corruption. Until we change that, we cannot move forward,’’ he said. The National Conference on Wednesday adjourned until Monday, 31st March, 2014 for consultations on the contentious issue of the Mode of Voting. The Chairman of the Conference, retired Justice Idris Kutigi, announced the adjournment after some select delegates and principal Officers of the Conference met to break the deadlock. The media reports that Order VI Rule 3 of the Conference provides that any of its decision shall be decided by at least three-quarter majority. Tuesday’s plenary was adjourned abruptly after a sharp disagreement among the delegates over the three quarter or two-third majority Mode of Voting. A motion moved and passed by the delegates mandated the Chairman Kutigi to convene a meeting involving leaders of delegates across the country to resolve the deadlock. At the resumption on Wednesday, the leadership announced the formation of a 50-man consensus group drawn from the six geo-political zones to look into the three-quarter and two-third majority dichotomy. Immediately after the first debate, the Conference was adjourned to reconvene in the afternoon to enable the group to hold a closed-door meeting with the Chairman to resolve the impasse on the Mode of Voting. When the Conference resumed in the afternoon, the Chairman announced that the meeting with the selected delegates would continue since “it is necessary to exhaustively discuss the issue”. Justice Kutigi therefore announced the adjournment, saying the meeting had made tremendous progress. Meanwhile, some National Conference delegates have complained that food on offer has not been going round. The Conference takes a lunch break, but still as some delegates prefer to leave the venue of the conference for their lunch, the food on provided does not get to some other delegates. This situation has not gone down well with some delegates as they express dissatisfaction with the development in very unmistakable terms. Thanks to the Secretary of the Conference, Dr. Valarie Azinge who formally addressed the food shortage crisis at the resumption of plenary on Monday. In his words, “Honorable delegates, it has come to our notice that most of you did not get food to eat. We are very sorry about that. We promise that it will not repeat itself tomorrow”, the Conference Secretary pleaded. Billions of Naira has been set aside for the National Conference. Some delegates at the ongoing National Conference have suggested consultation as the best way to resolve the disagreement on the voting mode to be adopted at the Conference. The delegates told the News Agency of Nigeria (NAN) in Abuja on Tuesday after an abrupt adjournment of plenary over disagreement on whether two-third or three-quarter majority should be adopted. One of the delegates, representing Accord Party, Mr Muhammed Nalado, said the adjournment would allow for consultation and dialogue among delegates for easy conclusion. Nalado said that the 75 per cent voting mode should be adopted on issues that affect the country as stated by President Goodluck Jonathan in his inaugural speech. “Mr President’s speech has emphasised on consensus and the figure near to consensus is 75 per cent. “What we want is general acceptance which is at least 75 per cent on burning issues that will show more acceptances, rather than two-third. “Let us have one Nigeria and we can attain that through consensus or 75 per cent vote,’’ Nalado said. Another delegate, representing Ogun, Mr Fola Adeola, suggested that group leaders should consult with delegates from their geo-political zones. “It is difficult for 492 people to negotiate and the longer we speak, the more emotional the issue becomes. “Everybody comes from a group, if we get the group leadership to consult with their members, it will be easier to reach a consensus,’’ Adeola said. An elder statesman, Amb. Yerima Abdullahi, appealed to delegates to talk more about Nigeria and the need to keep Nigeria as one. “Sincerity should be used and I think it is right; lobbying and consultation should be done. “You don’t come here with a pre-conceived idea or trying to outsmart somebody. That is not the way we are talking about Nigeria here,’’ Abdullahi said. A delegate from Cross River, Sen. Florence Ita-Giwa, stressed the need for consultation and dialogue to be employed by delegates. Ita-Giwa said: “I am a nationalist, when I have the opportunity to move motion for mode of voting, I deliberately favoured the voice vote. Ita-Giwa said that delegates could not pass the drafted rules without indicating what method should be adopted to vote, saying “the basic method for now is the voice vote’’. Mr Frank Nweke Jr., representing Nigerian Economic Summit Group, also called for consistency in provision for the deliberation of any matter at the Conference. “It is important in my view that such decision should be consensual in nature,’’ Nweke said. Nweke said it was unfortunate that there appear to be a lot of mistrust in the room as some of the delegates came with pre-conceived positions and ideas. “They are already thinking ahead, suggesting that if certain things were adopted, it will be difficult for them to achieve or stop whatever it is here. “I do hope that the Chairman or Conference officers will be able to guide us to an agreeable resolution of the issues in contention in the coming day,’’ Nweke said. He said that the delegates must confront their problems and not to shy away from them. Nweke said that the provisions were very clear, “if there is no consensus, then we must go to vote’’. The National Conference on Tuesday supported the media reporting of delegates who were caught sleeping during proceedings at the plenary. A delegate, Mahmud Aminu, representing Civil Society Organizations, had complained about what he termed “slanted” reportage of Conference proceedings by the media. Mr. Aminu, particularly, queried the reports of requests by some delegates for aides and the publishing of “sleeping” delegates at Monday’s plenary on page six of Tuesday’s Leadership Newspapers. “Mr Chairman, today on page six of Leadership Newspapers, you will see pictures of some delegates published by the paper. I think the media should be called to order. “Some of us have observed slanted reports of the Conference by the media and we call on the press to be responsible in their reports,” Mr. Aminu said. However, his observation was immediately rebuffed by most of the delegates, who said that the media had the right to report the proceedings of the Conference to the public in its whole truth. Yinka Odumakin, a delegate, cautioned against any attempt to gag the media in its reportage of the Conference. “Mr Chairman, in as much as we are trying to ensure that the media reports accurately what is happening here, I think there should be no attempt to gag the media. “I’ve seen the item he’s talking about; we have not been sent here to come and sleep. “And if the media observe that people are sleeping, they have the duty to publish all the people that are doing that. “So there is nothing to gag the media about; there is nothing assaulting the dignity of persons; they (media) are only doing their jobs,” Mr. Odumakin said. Similarly, Dan Nwanyawu, the National Chairman of Labour Party, reminded the delegates that they were at the Conference for serious business and not to sleep. “Mr. Chairman, we are here for serious business; anybody who has to sleep may take an excuse and climb the isles out to take a nap. “But once you are here, your two eyes must be open; so if you decide to help yourself by sleeping, nobody should come here to gag the press. “The press must report what they have seen and they are not lying by what is on page six of Leadership. “They (media) have just said the truth, the whole truth and nothing but the truth. So if we are here to do business of nation building, we must be serious. “With due respect to our elder statesmen; honestly, I see most of them awake. The submissions of the duo attracted a thunderous applause and were overwhelmingly supported by the delegates.